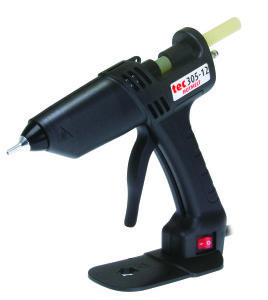 Peeltec 210 is a peelable hot melt adhesive applied via a Tec 12mm glue gun for creating temporary bonds or attaching credit, membership cards, CD’s to letters or magazines that can be easily removed by the end user (peeled apart). 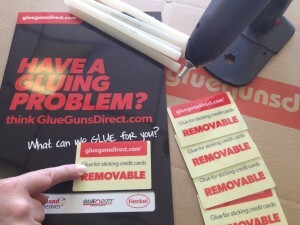 The adhesive is very fast setting and does not leave an oily residue, oil free, non-staining when removed ensuring no damage occurs to either surface. Suitable for credit/membership card attachment, special offer and other promotional items to packaging that need to be removed from the mailing letter, magazine, backing card or product.